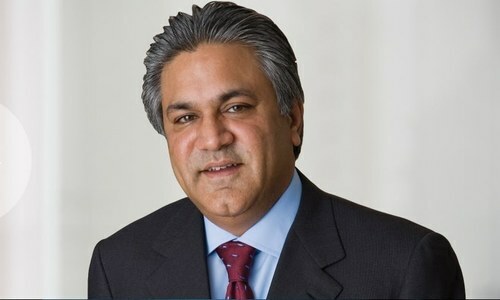 The chief executive and a managing partner of the collapsed Dubai private equity firm Abraaj Capital Ltd were arrested on United States charges that they defrauded their investors, including the Bill & Melinda Gates Foundation, a federal prosecutor said on Thursday. Shameful that this guy was part of various meetings be it economic or otherwise in PTI. Why he has committed fraud with Bill Melinda gate charitable organization? He should be punished if he had committed fraud. Interestingly arif naqvi has been a close supporter of Imran Khan and JKT. No wonder IK used same method in SKMH of misappropriating public charity to buy benami properties abroad on names of sisters, and JKT used his drivers and cooks to short stocks to increase his own profits. Lets see when these two gets arrested. What we sow we reap. Hopefully a just trial reveals all, punishes the accused and provides respite for the agrieved. @Islamabad Morning, are you insane or die heart supporter of noon league. He bought k electirc in Zardari regime and was trying to sell it to Chinese company by bribing then prime minster nawaz sherif amount of Rs 2 billion, according to international media report. He should come back to Pakistan and contest in next elections. I am sure he will be our new prime minister. Fraud or another BCCI like case where an emerging businessman from Pakistan is targeted? Yes, also shameful that Nawaz and shahbaz asked him for a bribe. There is a whole WSJ article on it. Innocent until proven guilty. No charges yet, so they are accused. Also Asian investors and businessman should be extra careful doing any investment in the Western world, some how you will be stopped. @Islamabad Morning, This guy was given Sitara-I-imtiaz by the govt. in 2007. Seems like he was a master con artist who duped a lot of people . Naqvi has been attending a few cabinet meetings chaired by PM Khan recently. Would be interesting to see if Imran Khan continues to entertain this crook. That's how to treat crooks, lock them up. When is Zardari going to face justice. The government should make a deal with him, to remain out of jail Zardari must return the billions stolen from Pakistan but he can keep 10%. Simple. These crooks should rot in jail for life. Spoiling Pakistan's name , shame on him. Interesting the double standard continues, no U.S. Bank President's went to prison in 2008 in the largest fraud since 1929. The sale of Toxic American assets ruined the economies of the world, and instead of facing jail time these crooks were given more money to bail themselves and their friends out. Those frauds and thefts caused hospitals and pension funds to loose all their monies. Thank you the UK and USA regulators, also for convicting K&K, AXACT, other financial criminals from my country,while their buddeis here lead a luxurious life . Arrested and led away in handcuffs, Zardari and talpur are laughing at the Pakistani courts. Somebody with vision tries something new and revolutionary to uplift the unprivelaged and the old players step in to stop, because they do not want any change in status quo. Just like what was done to BCCI. For all of you calling Nqvi crook,, should take a deeper look into matter before passing judgements. Nothing will.happen. in the end they will be set free. Bring them to Pakistan. will be highlighted by media for 05 weeks. Ultimately, all charges will be dismissed then they lived happily ever after. No shame. Now fraud and arrests are the norms of getting big names and positions. @Islamabad Morning, why because he got arrested? How about the principle of innocent before proven guilty. It's plausible that there is much more to this story than what we will get to learn through the media. Chances are it's a conspiracy. One must read a story of both sides, only then pass opinion or judgment. however, these quick money making investment are doing short cuts to reach higher prophets. @Islamabad Morning, Was also one of the biggest donors for PTI. Imran Khan should provide money trail for this. 'Those who learn how to be creative and cook the books, become crooked'? Let the true story come out. His CFO was Indian, who was working on an outdated fincial system with portfolio of $8 billion. How much of this money flowed in to PTI activities. The difference is who you steal from. West doesn’t care if you steal from the east and bring it to the west. Half of London is built on looted wealth. How can you put someone in jail on civil charges. No charges have been levelled yet. Well done for rounding up these crooks and fraudsters, this government should take note and stop wasting time with their own home gown crooks. LOCK THEM UP ! @Gordon D. Walker, J Asage ; Now Naqvi quickly arrested but Hasan and Hussain ; Dar , ex Anbassador to USA : Gerneral Musharaff : can not by Interpol : and UK : what is this drama? This man ( Naqvi ) was as advising Imran Khan in finances of Pakistan. Sad! How come this guy is arrested on charges of fraud in the UK, and we cannot have Issaq Dar arrested. 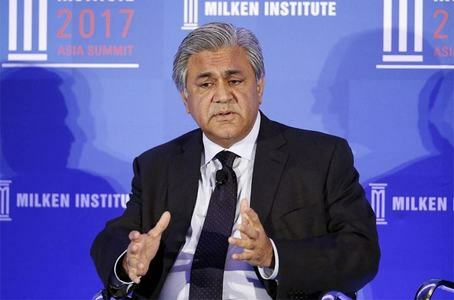 Contentious comment, wondering Abraaj owned KE and his alleged affiliation PPP co-chairperson were raising eyebrows, instead PTI. Shall those political parties be investigated who took funding from him? 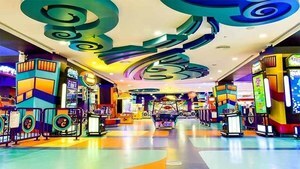 Dubai has become fraudsters paradise. Thousands of property investors have lost their money with no respite in site and UAE governments seems to be a part of it. It is true that “Greed is so destructive, that it destroys everything even in the end those who practice it.” It is however, very unfortunate and painful to visualize that these conmen, through their fraudulent financial activities on the international scene, have caused such a colossal damage to the image of the country and millions of its expatiates working in various countries, toiling day and night to boost perception of Pakistan and its people to the contrary. Let us hope their obvious fate will deter those others, suffering from similar uncontrollable greed and practicing the same tactics, to become rich overnight in a big way. @Mansur Ul Haque, crooks have no heart, no morals. Why can't the same action be taken for Ishaq Dar? Innocent till proven and convicted, anyone remember that? @Anti_Corruption, You have no idea what these charges are and what you are talking about. Everything is not about IK, please, learn to understand the difference between SKMH and Abraaj group. And since he was one of the top financiers of PTI we can be sure he was being encouraged to give money by the real rulers. Mr Naqvi is a fraud ,it was just bad accounting by his incompetent finance officer. @Irtaza M. Awan, Please update your information . BCCI was a CIA bank and Agha hasan Abdi was a CIA asset . The purpose of BCCI was to launder all the drug money from Southeast Asia . 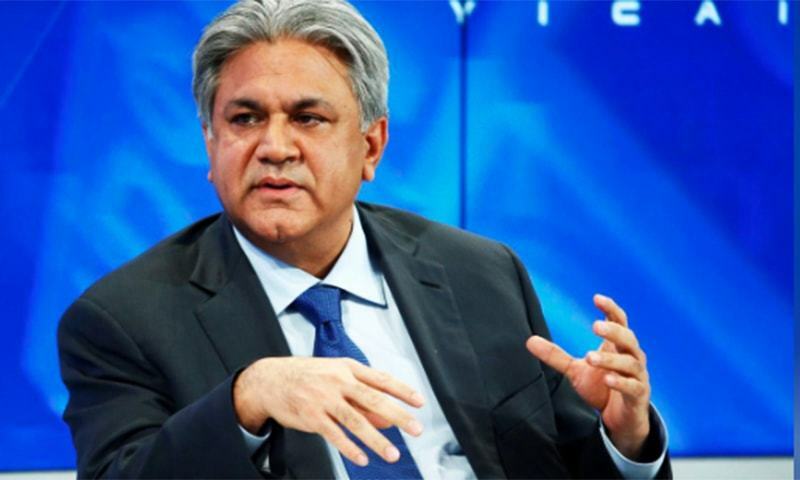 Arif Naqvi's Abraaj Group is making all effort to sell K-Electric to Shanghai Electric China without settling Rs.162 Billion which they owe to the Government of Pakistan to bail out Abraaj Group fraudulent Dubai business. The government should take over this entity which has become key source of money generation for Abraaj Group, This is red alert for Government. @Lal Kabutar, He is already serving as the CEO of Ampak gas station association. 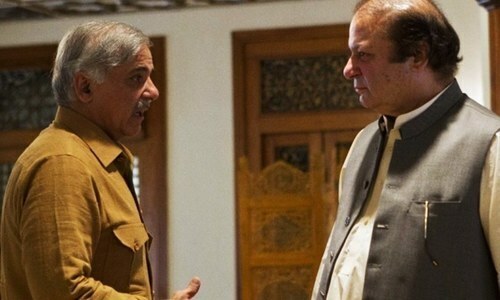 My friend you are making wild allegations against IK, what proof do you have? Little knowledge is a dangerous thing. You are talking absolute rubbish without an iota of truth! There was one case of money laundering of $10million by their Miami branch manager. It is a long story but the fact is the West could not tolerate an Asian bank which was the fastest growing bank in the world in the early 80’s. First Axact. Now Abraaz. When will the honest people of Pakistan stand up?